Looking to learn or perfect some amazing new machine embroidery techniques? How about learning to create or edit your own embroidery designs with digitizing? If so, why not skip the learning curve for faster results? 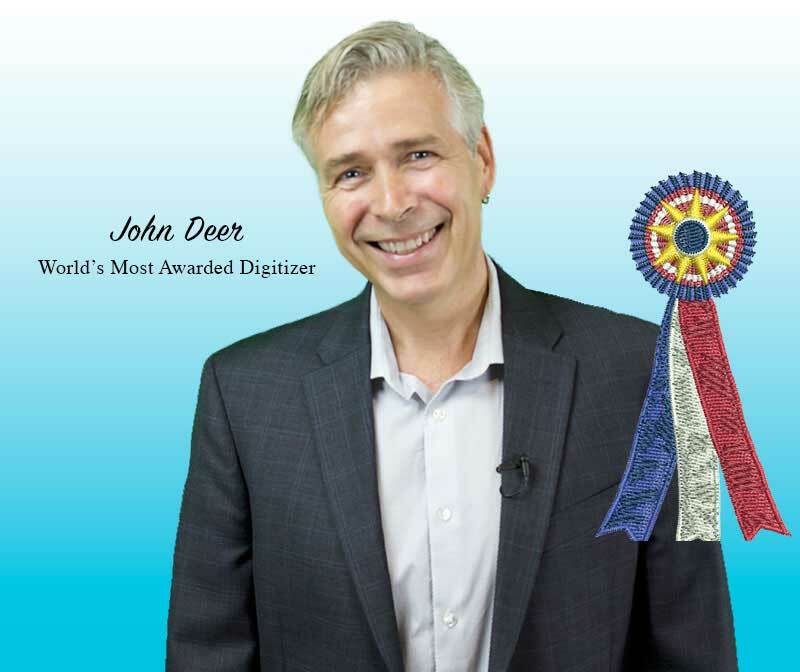 Join your embroidery coach John Deer at an upcoming live event for accelerated learning… Your embroidery will thank you. Learn from the Master… Live! A lot of people make this claim these days… Although a lot of them don’t have 60+ years of family experience in the embroidery industry, the title of being the world’s most awarded embroidery digitizer OR the honor of being 1 of the 2-last living Shciffli Masters still alive and teaching in North America… Sign up for an Embroidery Legacy event today and personally learn from embroidery legend John Deer himself. 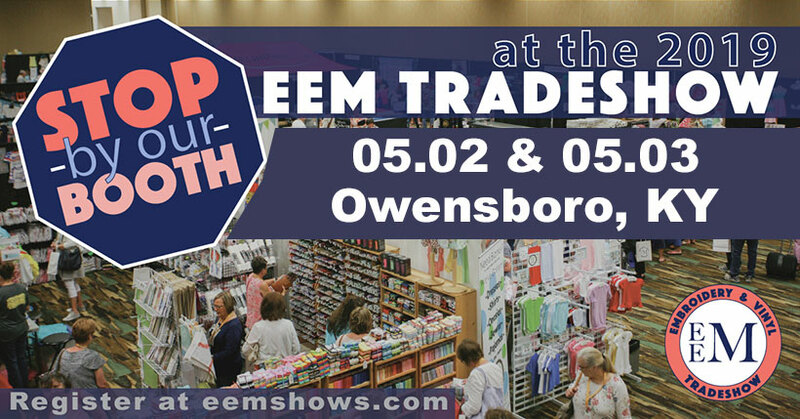 Join us for 2-days of embroidery fun and learning at the Everything Embroidery Market. 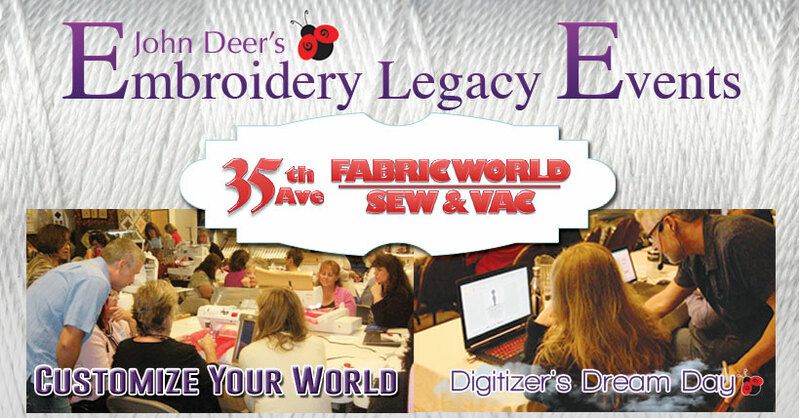 John will be teaching a number of classes including: Fun Effects Embroidery, Making Money with Embroidery, Embroidery Basic Essentials and a Hands-on Digitizing Workshop. If you want to learn how to create & edit your own embroidery designs, this workshop is for you. This workshop is all about sharing with you the foundation of theory John learned from his Schiffli mentor more than 33 years ago. It will contain the most important information you’ll ever learn about digitizing. We want this to be very clear, THE THEORY TAUGHT IN THIS CLASS WILL CROSS OVER TO ANY BRAND OF SOFTWARE. In John’s words, “The primary objective of this experience is to learn the ‘old-school’ theory for creating beautiful designs”. Join us for a 2-day hands-on Customize Your World event and learn how to personalize more items with your machine embroidery. You’ll learn fun new embroidery techniques, tips & tricks. 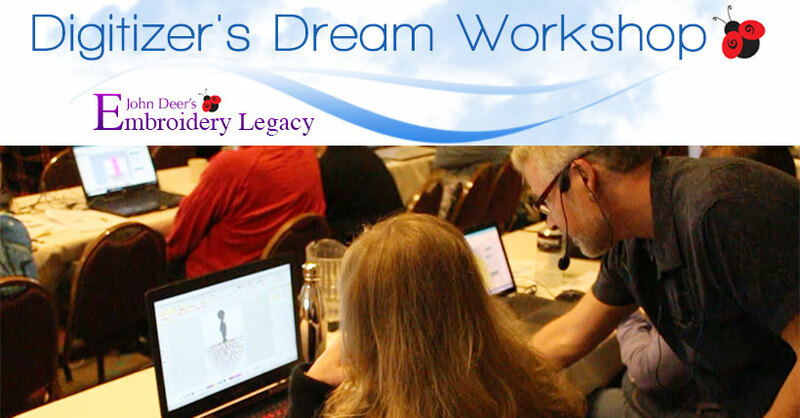 Also, begin the journey of creating your own custom embroidery designs with our 1-day Digitizer’s Dream Day event. Join us for a 2-day hands-on Customize Your World event and learn how to personalize more items with your machine embroidery. You’ll learn fun new embroidery techniques, tips & tricks. 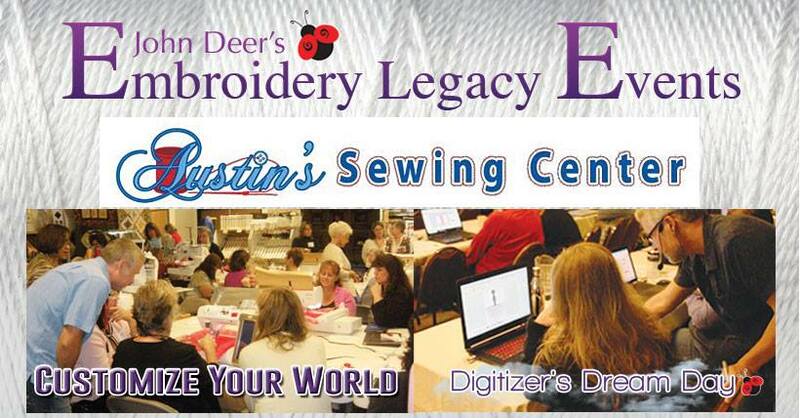 Also, begin the journey of creating your own custom embroidery designs with our 1-day Digitizer’s Dream Day event. Click here to view the Facebook Event. Join us for a 2-day hands-on Customize Your World event and learn how to personalize more items with your machine embroidery. You’ll learn fun new embroidery techniques, tips & tricks. Click here to view the Facebook Event.